Please have a look at the pools swimmers like you have reported near Belize. 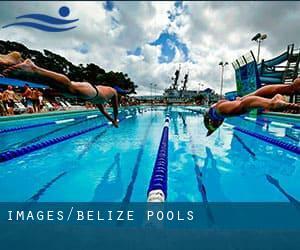 Please, report any Belize Swimming Pool not listed here. Do you know of any Pools in Spain that should be listed here? Contact us!. Please use the make contact with knowledge provided at every single pool profile to check if they're offering aquagym lessons, since isn't so widespread to find out an Aquagym in Belize. 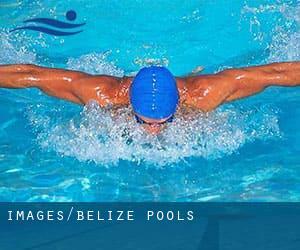 Please make contact with the sports centre in Belize to check which activities are being offered and their timetables, because Belize Pools could possibly have distinct rules and fares than other places. Going to a Belize Swimming Pool is increasing especially within the elderly population sectors of Belize, who have suffered some sort of muscle or bone damage. The very best Belize Pools are located mainly in large cities, but it's also straightforward to locate public pools in rural areas. One from the advantages of outdoor swimming in Belize will be the possibility to sunbathe for the duration of the summer season. Taking it with additional care, sunbathing is healthy given that introduces Vitamin D into the body, so the best choice seems to be switching in between indoor and outdoor pools depending on the season. Let us let you know a secret to switch off even though you might be in Belmopan: just select a Swimming Pool in Belmopan and plunge into the water! There's no much more effective approach. Without a shadow of a doubt, swimming in San Ignacio is the greatest way to unwind right after work. Take a couple of minutes to browse Swimia's catalog to find a Pool in San Ignacio. It's difficult to visit Belize without dropping by Dangriga (with 10.750 residents). Presently Swimia is showing you all the Pool in Dangriga and also the closest pools located in its vicinity. Whereas Orange Walk is one of the six most populous cities in Belize with nearly 15.298 residents, you shouldn't miss that one if you're going to Belize. Swimming is usually a superb idea to keep your body active for the duration of your visit to Corozal (Belize), or even if you're a local. Swimia helps you to discover your closest Swimming Pool in Corozal. Holding an estimated population of 61.461, Belize City is one of the most important cities in Belize. Check all the Pool in Belize City and its surrounding area. Updated on 2019 Swimmers like you reported 80 feet, Outdoors. Phone number and email address are number for this Swimming Pool. Updated on 2019 119 St. Thomas Street at Freetown Road , Belize City . This sports centre provides 58 feet 11in x 29 feet, Outdoors. Contact knowledge for this Swimming Pool just like phone number and email address are number.